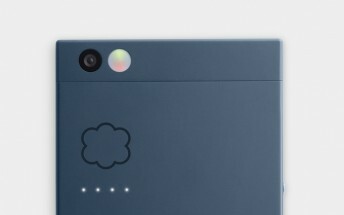 This is a really interesting case, so let’s briefly recap: Nextbit was a startup company that built a phone around a cloud feature that would allow seamless usage of apps and content that transcended between phone’s on-board storage and a complimentary cloud service, automatically. This phone would be called the Nextbit Robin. The company’s initial Kick Starter goal of $500,000 was smashed with a final pledge amount of around $1.3 million. Fast-forward to today, a year or so after the Robin began shipping to customers, the company is being acquired by Razer. All sales of the Nextbit Robin and its accessories have already ceased. But like all great companies, Nextbit has vowed to keep a couple of promises: it will honor warranties for six more months, and Nextbit will keep supporting the Robin with software updates and security patches through February of 2018. The Nextbit brand will not go away, instead, it will operate as an independent division within Razer and will focus “… on unique mobile design and experiences.” Does this mean we might see a Razer phone or tablet? Probably not, at least not for now, Alhough, based the really cool clip in the tweet above, Nextbit’s branding may get a makeover. There is still no word on whether or not there will be a successor to the Robin; it’s already been almost one year since the phone began shipping to those who pledged. Recently, the Robin was spotted on a GFXBench running Android 7.1.1, different from the 7.0 version of the ongoing beta test.